with class leading low prices for grand feu enamel dials. 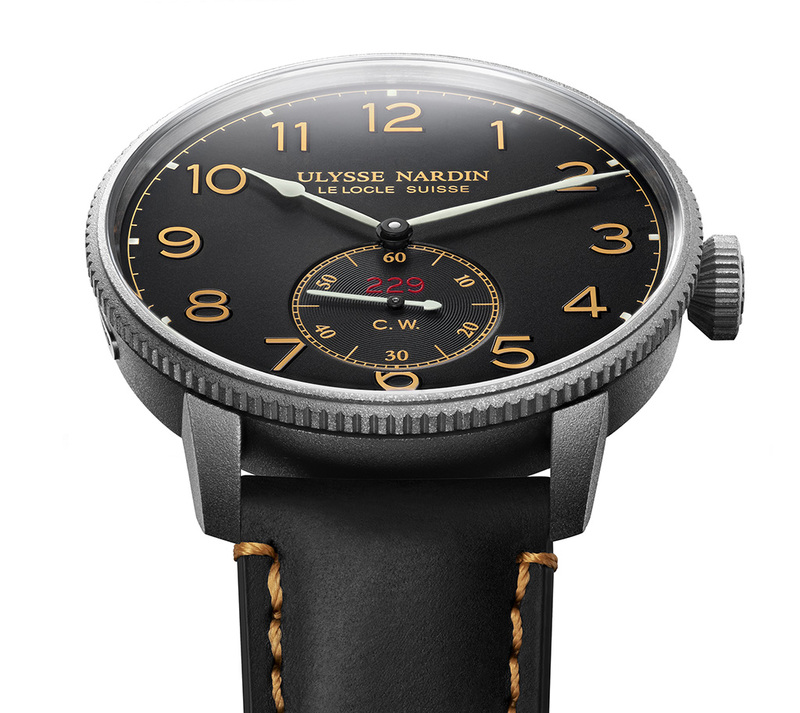 Ulysse Nardin releases three new novelties ahead of the 2018 session of the SIHH. The novelties are the Marine Tourbillon Blue Grand Feu, the Marine Torpilleur Military with two dial options and the Classico Manufacture Grand Feu. 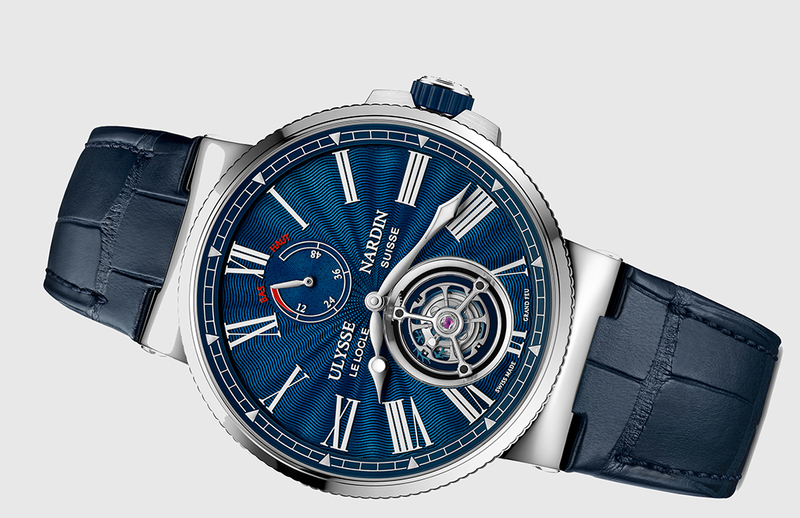 The Marine Tourbillon is the essential Ulysse Nardin. It unites the fundamentals to the core philosophy of the brand: in-house production, technical avant-garde and rare artistry. First introduced in SIHH 2017 (full review on the link), the new version now carries a new blue, guilloched grand feu dial. The self-winding UN-128 caliber is produced in-house in the workshops at Le Locle utilising silicium technology. The movement has a 60-hour power reserve and a magnificent flying tourbillon. 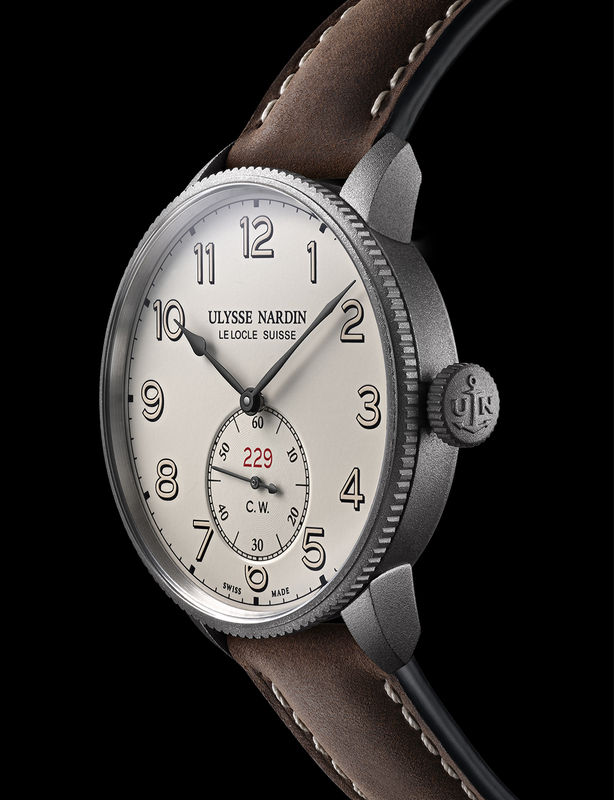 The UN Marine Torpilleur Military with a black dial. The C.W. on the dial stands for Chronometer Watch, an indication to the high level of chronometry achieved. 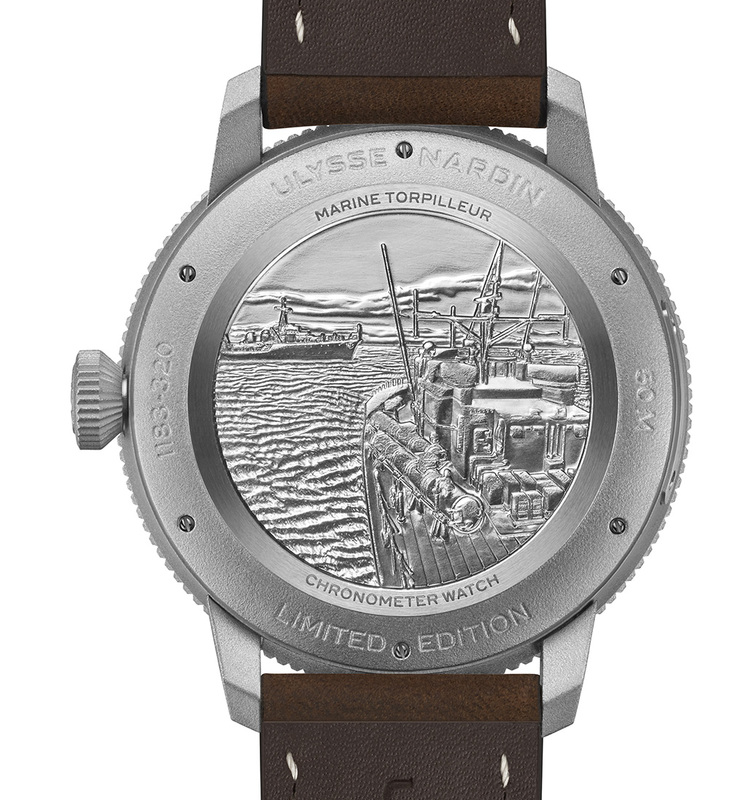 The success of the UN Marine Torpilleur has inspired the manufacture to release the Marine Torpilleur Military edition. A chronometer designed for the adventurer. The design is a direct descendant of the pocket chronometers prized by sea captains, and reimagined to create a modern air. The movement is the UN-118, and is one of UN’s celebrated Marine Chronometer movements. Two versions of the Classico Manufacture Grand Feu are available. 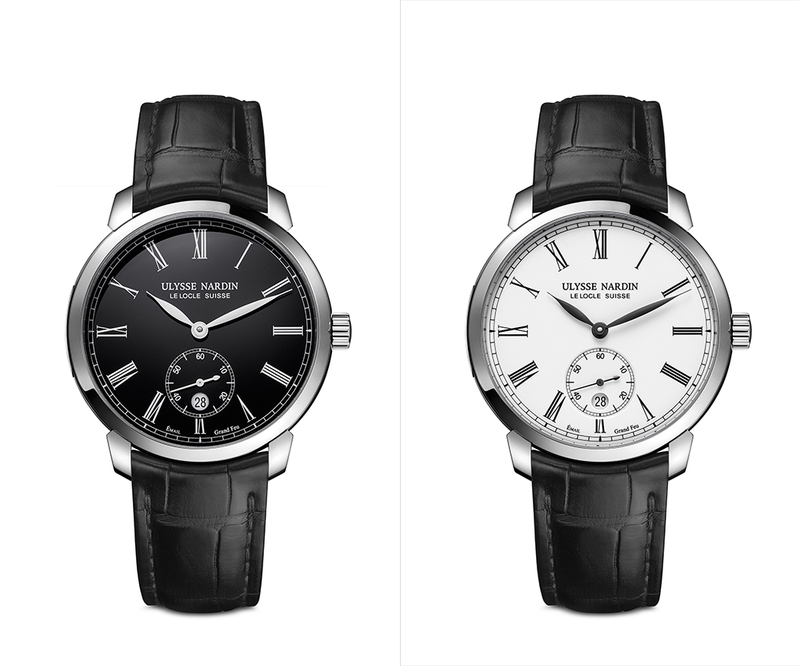 One in a pure white enamel dial, and another in an intense black. The art of making black enamel dials is more complex than white ones. The selection of the the enamel powder is crucial in determining the result: black can only be created by applying different and carefully chosen colored pigments to the substrate, giving the enamel opacity and depth. It is very challenging to control the quality of an enamel dial, and each of the successive high-temperature firings poses a risk to the outcome. Black reveals the slightest imperfection, the craftsmen and women at Donzé Cadran take great pains to smooth the surface of the enamel in between each trip to the kiln, knowing that at any time, the slightest flaw could ruin all their efforts. After the enamel dial is polished to a high sheen, it is ready for the final operation: applying the Roman numerals in a contrasting color that reveals the full splendor of the Grand Feu enamel dial. The watch is powered by the in-house UN-320 caliber movement.